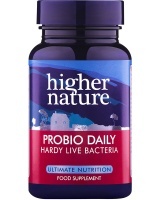 Higher Nature Probio-Daily - powerful probiotic acts as a ‘transient’ bacterium. maintains intestinal health & regularity. Ideal for travelling - doesn’t need refrigeration. 1 tab = 150 million bacteria. 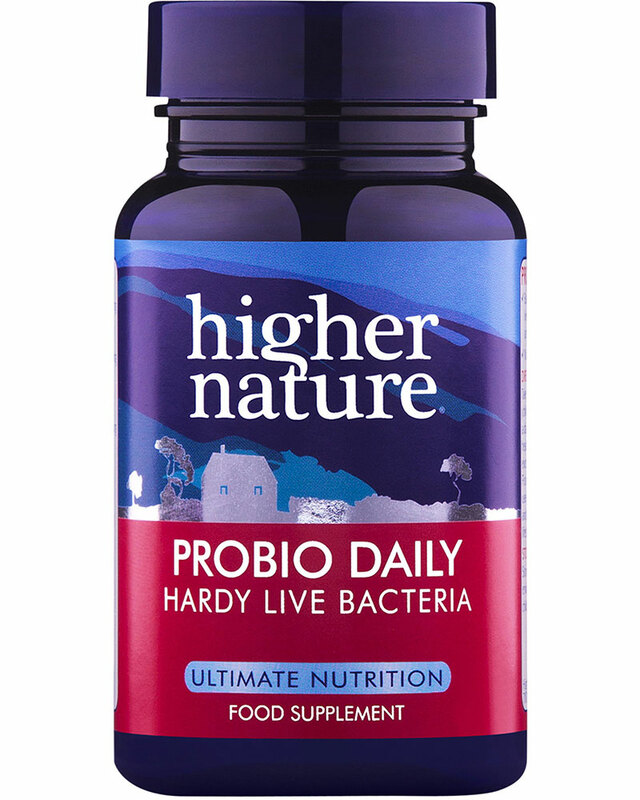 Probio-Daily’s powerful friendly bacterium (probiotic), Lactobacillus sporogenes, acts as a ‘transient’ bacterium, helping to maintain intestinal and immune system health, a balance of good bacteria over bad, and regular bowel movement. It is especially suitable to take during and after antibiotics, as it may be tougher than resident bacteria. It may even help resident bacteria to flourish over time. Unlike many other friendly bacteria, Lactobacillus sporogenes survives harsh stomach acid well and doesn’t need refrigeration, because it is in an unusually hardy ‘spore’ form. Ideal for taking every day, and for travel, especially when exposed to tainted food & drink. Lactobacillus sporogenes has not been grown on lactose, unlike some other Lactobacilli bacteria - it may even help digest lactose and milk products. Available in small, easy-to-swallow tablets. One tablet contains 150 million bacteria. Non-dairy. Take 1-3 tablets a day, with meals. 150 million Lactobacillus sporogenes, 100mg FOS (Fructo-oligosaccharides). Tableted with these natural ingredients: Potato maltodextrin, hydroxypropyl methylcellulose coating, vegetable magnesium stearate. Please note: Do not refrigerate. Store out of reach of children. Sugar, salt, soya, wheat, gluten, lactose, dairy products, artificial preservatives, colours or flavourings.